Light is a form of energy, and with enough energy, we can do some pretty impressive things. Typical sources of light on Earth, though, tend not to provide enough power to do much with, asides from helping us to see. Asides from the sun, of course, which we can thank for life on Earth being possible. Any light generated will usually just dissipate, along with the energy it provides. If there was a way to harness and concentrate light, though, so that its energy was focused in one spot then it could become a powerful tool. Of course, this tool is available to us nowadays and is commonly known as the laser. These highly concentrated beams of light are capable of feats that were once consigned to the realms of science fiction. Here at Yorkshire laser, we take advantage of the benefits that lasers offer to help in a range of industries. As our technologies have advanced, we have found ways to develop increasingly powerful lasers, and many of these have found their way into industrial manufacturing. Laser cutting is now becoming somewhat of a standard tool in many industries because of the benefits it provides. A single laser beam is now powerful enough to cut through wood, plastics and even metals. As such, laser cutting has helped to revolutionise much of the manufacturing industry. Another great benefit of laser cutting technology is that it can be combined with other industrial technologies such as CAD/CAM. This means that many processes can now be automated whereas before they would have had to be done by hand. This helps to make significant cuts in manpower needs and production times which, in turn, helps to slash costs. This helps to make the final product more affordable and more suitable for mass markets. 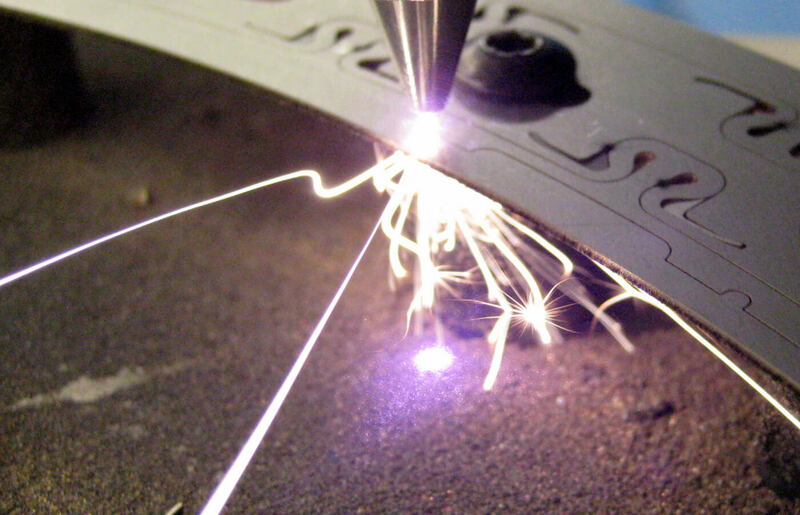 With the cutting laser concentrated into a very fine beam, laser cutting is very accurate. When combined with other technologies, it can be used to cut materials to exact specifications time and time again. Such is the accuracy of laser cutting that it can also be used in applications such as surgery, and the making of surgical equipment. As advanced as laser cutting technology may seem, it is still in its infancy. As our technology develops, we will be able to produce ever more powerful lasers with greater cutting power and even greater accuracy. Some are even being developed as weapons for militaries around the world. Contact Yorkshire Laser today and find out how we can help bring your project ideas to life.